Etc. : Etc. 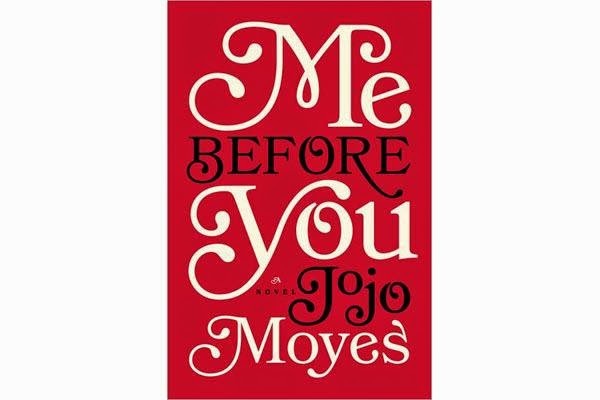 Book Club Review: "Me Before You"
This book isn't exactly a love story, but more accurately, a story about love. In short, a British woman, Louisa, finds herself out of a job and lands a position as a caregiver to a quadriplegic man. The man, Will, had a high-paying job and traveled the world on all types of cultured adventures before a motorcycle accident left him paralyzed. The relationship that develops between Lou and Will is quite remarkable from almost hatred to quite the opposite...but not in the typical way. This book has an element of predictability, but yet there are still some twists and turns. I found myself skimming ahead just because I HAD to find out how a certain situation resolved itself. This book is easy and quick to read and hard to put down. It was witty but also emotional. Very emotional! There were times when I cried reading this book before it even ended, just because of the intensity of the relationship and just imagining where it might lead, good or bad. I finished this book a couple hours before I went to bed last week, and when I lay down to go to sleep, I could barely stop crying. And I am NOT a crier. For me, it was easy to picture the scenes in the book, and I still replay some of them in my head. I understood and cared about the characters; their story felt so real. This book has definitely earned a spot on my list of favorites. It's incredible; I feel like the storyline and the characters are still alive in my mind. "Me Before You" will make you think about illness, disability, relationships, family, life-changing events, but most of all, it will make you think about love. I just put a hold on her two latest books at the library! Hope I get them soon so I can see if they are just as compelling! I want to read Moyes's other books, too! I will check out Cecelia Ahern as well -thanks!